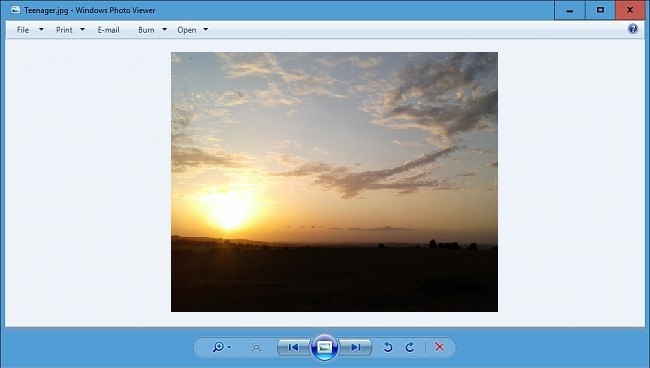 Usually you could use Windows Photo Viewer to view your image files in a variety of ways. You can also print, order prints, attach pictures to an e‑mail message, burn, or open photos in another app on your PC. Windows 10 uses the Photos app as the default app to open image files with instead now. By default, Windows Photo Viewer is no longer listed in Open with, and only has .tiff files associated with it in Default Programs. Default Programs, and Open with in Windows 10. You must be signed in as an administrator to be able to restore Windows Photo Viewer. Double click/tap on the .reg file to merge it into the System Registry. You can now delete the downloaded .ZIP and .reg file if you like. 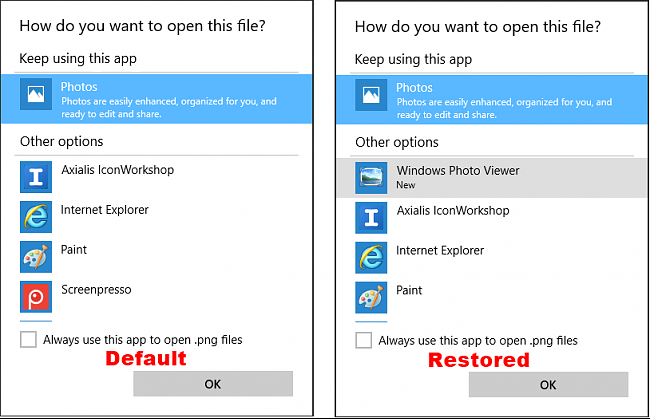 If you restored Windows Photo Viewer, you can now set this Program as Default.